A functional garage door requires all of its parts to be working in cohesion. Just one small broken part can make the entire door unsafe and unusable. The garage door roller is one part that is key to your entire door. If it is broken, then it can make every other part stop functioning too. It is important to diagnose and fix a broken garage door roller as possible. This is because a broken garage door roller can damage other parts of the door too. This can make a repair more costly and time-consuming. If you need same day garage door repair, then we are here for you. We can fix broken rollers in a fast and effective manner. As well as repairs, we also provide garage door rollers replacement. As a company, we are environmentally conscious. We can safely dispose of your old garage door rollers. We have access to the best parts available at the lowest costs. Our team is highly experienced in garage door roller repair. We identify the exact cause, and we diagnose long-term fixes that will keep your garage door working in its best condition for a long time. We provide advice to all of our customers on how to make sure that their roller stays in the best condition. Also, we make sure to answer any questions that the customer may have about the installation or repair of their garage door rollers. 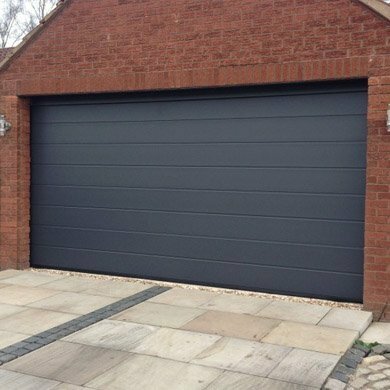 The team makes sure that the customer is informed about all the options available and they find a solution that is tailored towards the specific garage door and also towards their individual preferences. There are many factors that can cause a garage door to break. Here are some of the most common signs that your roller is responsible. Most of these problems are mainly caused by rollers. However, our team can properly identify the cause and provide a long-lasting repair or replacement. There are many types of garage door rollers available to buy. Your roller plays a large part in how smooth your garage door can operate in the long-term. Therefore it is crucial that the roller is high-quality and made out of the best materials. This is especially important if your garage door is being used heavily. Overuse can quickly wear out low-quality rollers and cause damage to your garage door. At 24HR Garage Door, we provide rollers that are built with long lifespans. Additionally, they produce far less noise than many common rollers. We recognize that a roller is integral to the functionality of a garage door, and therefore we provide the best garage door rollers that are fitted with the help of our expert team. Any garage door roller problem can be diagnosed and repaired by our team. We are ready to tackle all problems with same-day appointments. Don’t hesitate to contact us with any questions that you may have.